Last year saw major international commitments on critical topics like climate change, sustainable development and road safety. From the adoption of the Sustainable Development Goals (SDGs) to the Brasilia Declaration on Road Safety and the climate agreement reached at COP21, these commitments—including the World Bank’s own pledge to increase its climate-related financing by one-third by 2020—provide clear international targets for the next 15 years. Translating these global targets into effective action and tangible benefits for people across the world will be a huge challenge, however. It will require the alignment of various processes and initiatives at the global, regional, national and local levels, as well as significant support to the national and local authorities responsible for implementation. Transport is at the heart of these commitments – not only because transport is part of the climate and development challenge, but also because it is a big part of the solution. Under a business-as-usual scenario, energy-related GHG emissions from transport are set to rise from 23 percent of the global total to 33 percent by 2050. Car ownership worldwide could triple to more than 2 billion privately owned cars by 2050, trucking activity could double, and air travel could increase four-fold. Furthermore, 1.25 million people die on the roads each year, with 90 per cent of the total traffic fatality rates in low-income countries. At the same time, however, a comprehensive shift from roads toward railways and waterways, and toward metros, bus rapid transit (BRT) and community trains in large urban areas can have a huge, transformational impact. 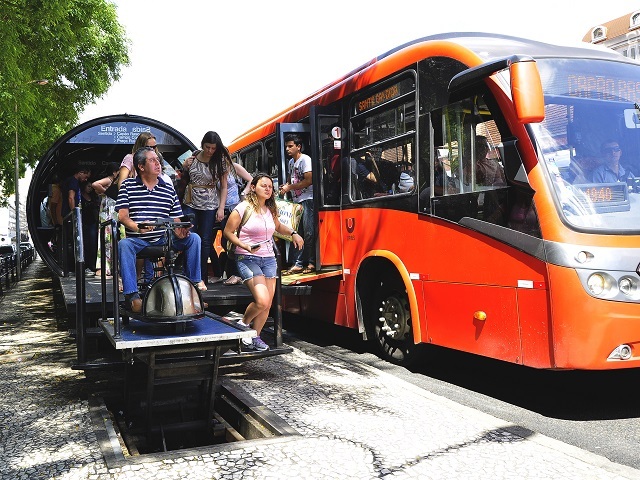 Public transport, in particular, reduces GHG emissions, brings down energy use, reduces congestion and pollution, makes roads safer and gives the poor greater access to goods and services. Take Mexico City’s BRT system Metrobús, for instance, which replaces 150,000 car trips every day, cuts 122,000 tons of CO2 emissions annually and considerably reduces residents’ exposure to other pollutants. The system’s Linha 4 is part of a “complete streets” project and a crucial element of making cities safer by design for all residents—the goal of a new partnership between WRI Ross Center for Sustainable Cities and the FIA Foundation. India’s new efficient railways connect the economic centers of New Delhi, Mumbai, Chennai and Kolkata. Investments in new tracks, 178 high-powered electric locomotives and 10,000 freight wagons create additional capacity of 600 metric tons, and will contribute to the reduction of 67 million tons of CO2 emissions by 2042. Similarly, investing in resilient transport that will withstand changes in climate can at the same time increase mobility and connectivity while minimizing the effects of disasters like extreme weather and flooding. Significant transport commitments were made in 2015. Appended to the COP21 Paris Agreement, countries submitted national climate plans, known as Nationally Determined Contributions (NDCs). More than 61 percent of those propose actions to mitigate emissions from the transport sector. The November 2015 Brasilia Declaration on Road Safety reaffirmed the international community’s commitment to SDG 3.6, which is to halve deaths from road crashes by 2020. The onus is now on the transport community to transform these commitments into reality. Two immediate actions come to mind. First, making sure that the global commitments are integrated and aligned with each other, and with other initiatives at the local, regional and sectoral levels. For example, 15 transport initiatives were launched under COP by the Lima-Paris Action Agenda (LPAA) which operate independently of national commitments. The upcoming Climate Action Summit to be held in Washington DC in May will be instrumental in bringing together the broader transport community. Second, articulating a unified framework that will enable tracking of the various commitments at national levels (SDGs, road safety, climate goals). A unified framework will be essential step for building momentum toward an effective “new urban agenda” at the UN Habitat’s Habitat III later this year. Indeed, much of the action on transport will take place in cities. This is where global targets will be fully operationalized into local, tangible actions. So the transport community needs to focus its efforts on helping local mayors, urban planners and other stakeholders implement the commitments their national governments have made. This year’s Transforming Transportation 2016 will play a pivotal role in turning these transport commitments into real-world change. The two-day conference, which will take place on January 14th and 15th in Washington, DC and via livestream, will bring together representatives from national and local authorities, international financial institutions, research institutes, civil society and other transport groups to explore the nexus between transport, sustainable development and cities. The conference will focus on the challenges and opportunities that the transport sector and cities face in implementing sustainable development policies across the developing world. We will explore the most innovative and practical ways of translating global targets into specific investable projects, exploiting the synergies across various transport modes and sectors. We face a long road ahead in shifting to truly sustainable transport modes. We hope you can join us in the discussions, and help us develop ways to transform transportation into an engine for sustainable growth. Tune in to the livestream at www.transformingtransportation.org/live to watch the conference live. This blog was also published on Devex.